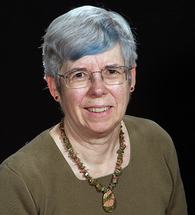 Susan Ashdown, Emerita Professor, joined the Cornell faculty in 1991 on completion of her Ph.D research in perception of apparel fit at the University of Minnesota. Previous to this she completed her MA degree at Cornell, where her research was in functional apparel design. She retired from Cornell in January of 2019. The questions that informed her research and teaching focused on the interactions between apparel design and technology, and the changes that occur in the way that apparel is designed, produced, and distributed using new and developing technologies. Her work was in the field of technical apparel design, with a concentration on sizing and fit of both fashion and functional apparel, and the use of full body three-dimensional scanning in the apparel industry. Issues in patternmaking, automated custom fit, judging apparel fit in research and industry settings, anthropometric measures, anthropometry of the active body, mass customization, interactions of materials and design, and functional apparel design were addressed in her research program. She also investigated the use of half scale dress forms developed from body scans in academia and the apparel industry. The focus of my work is on the sizing and fit of apparel and the use of three-dimensional body scanning in the apparel industry, anthropometry, changes in surface measurements in active positions, the fit of clothing in active positions, and the development and use of half scale dress forms in academia and in the industry. Ashdown, S. P. (2014). Creation of ready-made clothing: The development and future of sizing systems. In M.-E. Faust & S. Carrier, Designing apparel for consumers: The impact of body shape and size (pp. 17–34). Cambridge, UK: Woodhead Publishing. Petrova, A. & Ashdown, S.P. (2012). Comparison of garment sizing systems. Clothing and Textiles Research Journal 30(4), pp 315-329. Ashdown, S.P. (2011) 'Improving body movement comfort in apparel,' book chapter in Comfort in Clothing, editor Song, G., Woodhead Publishing Limited, Cambridge, UK. Ashdown, S.P. & Loker, S., (2010) ‘Mass customized target market sizing: Extending the sizing paradigm for improved apparel fit,’ Design Practice, 2(2), pp. 147-173. Ashdown, S.P., Editor. (2007) Sizing in Clothing: Developing Effective Sizing Systems for Ready-To-Wear Clothing, Woodhead Publishing Limited, Cambridge, England. Ashdown, Susan P. (1998) An Investigation of the Structure of Sizing Systems: A comparison of three multidimensional optimized sizing systems generated from anthropometric data. International Journal of Clothing Science and Technology. Vol. 10, #5, pp 324-341.